I decided to take a small break from Wedding Wednesday to talk about my most favorite time of the year, Halloween! Here's a compilation of my costumes over the years. 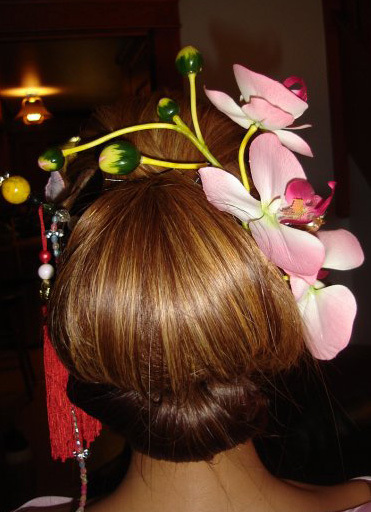 Geisha - I didn't make the Kimono, but I did my own hair! Romans - it was a last minute idea. I threw this together in a few hours with 2 bedsheets. Lady Gaga in the meat dress (and Darren as a butcher) - hands down my most favorite. khatu - u r so creative!! i love your blonde hair btw! wished i had the energy to do this. i wasn't going to dress up this year, but my hr lady is making me dress up for work. lol. i went to party city and got my a generic costume. wah! OMG, that Lady Gaga meat dress costume is amazing. How did you even make that? Surely it's not real meat? 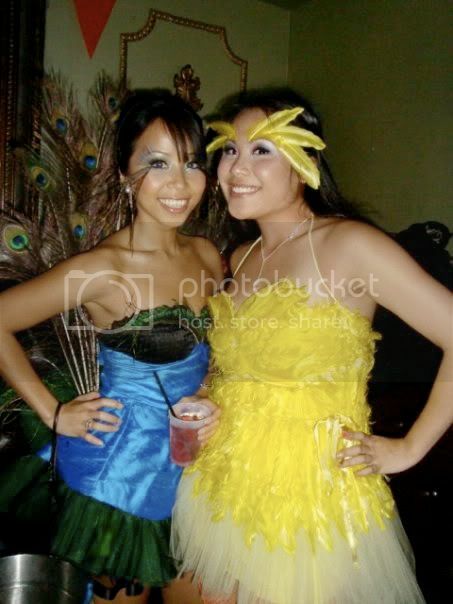 I was pretty impressed by the peacock costume until I saw the Lady Gaga outfit. So creative! Awesome creativity in all of your costumes! HAHA! Love the Gaga one. Butcher as the partner to the meat dress- BRILLIANT! Pretty damn brilliant, Tu, but you already know what I think of your sewing skills. I'll still be the first person to book a ticket to fly out to the opening of your first boutique--show support for my fellow petite Asian! Cannot wait to see what you have in store for Halloween this year. Your costumes are AMAZING, Khatu! Love the Lady Gaga and the peacock! i love coordinated couples costumes. homemade is even better! You are sooo GOOD with this!! All of these are amazing. Can't wait to see what you are going to be this year. omg you look gorgy! 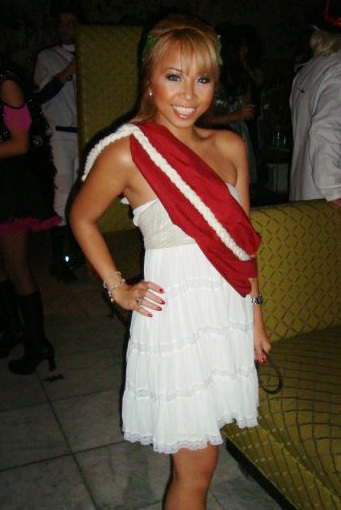 One of the rare people who can do really creative Halloween costumes that still look hot, haha! This is so great! Your costumes have been WAY more creative and elaborate than mine! the peacock one is so beautiful! lady gaga is SPOT ON - amazing! That meat dress is AMAZING!! So jealous of your great idea! You look so good blonde! I think you should definitely consider going back to blonde. THE GAGA pictures are SO amazing! Love love love them! You look so wonderful with light hair! Gorgeous!